(Posted March 23, 2017) The Supreme Court has now gone two Thursdays without releasing any published opinions, so it’s time for a different angle. The court’s 2016 statistical report is out. Since I know that most of you hate numbers – that’s why you got into a profession that emphasizes words – I’ve done the digging and sifting for you. That being said, if you really-most-sincerely hate numbers, I might not be able to soften this enough for you. I hope you’ll bear with me, for the lessons are worth learning. Business is down (mostly). SCV Clerk Trish Harrington opened just 1,852 new files last year. That’s the smallest number since 1990, and it’s off 7% from the 2015 total of 1,996. 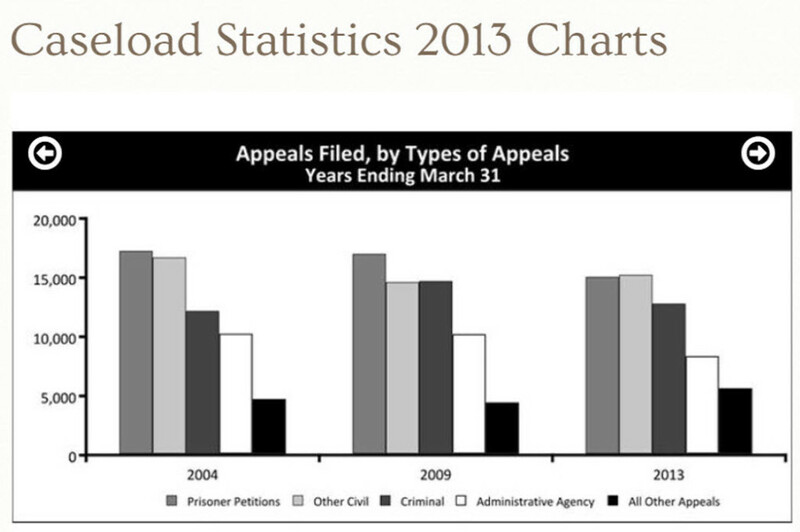 But the drop-off is one-sided: by coincidence, the court received the same number of civil petitions in each year: 569. The big change is in criminal petitions, which fell from 974 in 2015 to just 774 last year, a reduction of just over 20%. I could speculate whether this means that inmates are more accepting of their fates (doubtful) or they’re getting demoralized by the puny reversal rate. The justices ruled in favor of the prosecution in 25 of the 28 criminal appeals that it decided on the merits last year (including published opinions and unpublished orders). The overwhelming majority of criminal appellants never even got a writ. The accused’s overall success rate before the justices last year was on the order of one-third of one percent; the other 99.7% lost. What about the procedural-default rate? I detest reporting on this, because it’s an embarrassment. In 2016, 7.8% of criminal petitions and 23.6% of civil petitions were dismissed for procedural defaults; they never even got to the writ panel. I suspect that many of the civil appeals were filed by pro se litigants, but I’m confident that an alarming number came from law offices. Why is the criminal-petition rate so much lower? Possibly because the lawyers who file those petitions have been down this road before and they know the appellate landmarks – and landmines – better than their civil counterparts. It’s also conceivable that the justices may be a bit more lenient with a borderline defect if it occurs in a criminal appeal, but I have no way to evaluate that hypothesis. I could start offering advice here on avoiding procedural default; but that’s a much longer essay, and it would probably get me on a rant about dabbling in appeals, so I’ll move on now. How’s the “pace of play”? (Pardon a golfer’s metaphor here.) My regular readers recall well that in September 2015, the Supreme Court shifted from its nice, predictable, six-days-yearly release dates for opinions, to a rolling-release practice in which opinions might hit the wire any Thursday. I heard several musings back then over how this would affect the time it takes the court to get opinions out. Faster or slower? The old practice gave us opinions on a seven-week turnaround, though on occasion the court would hold an opinion to the next session – a delay of seven more weeks – if the opinion wasn’t ready for release. In my estimation, that happened in about one case in twenty. Also, unpubs might arrive at any time; the court didn’t hold them until opinion day. Finally, the court’s schedule built in two extra-long breaks: January’s opinion day was about ten or eleven weeks after October/November’s, and the long summer recess meant that lawyers who argued in June would have to wait about 14 weeks before getting their rulings. I decided to start with the appeals argued in the February 2016 session, because those argued that January were skewed by the Roush Effect. (See the opening paragraphs of my February 12, 2016 SCV analysis for the full story.) After that, I figured we’d see a normal pattern emerge. For the April session, it was noticeably quicker: 7.8 weeks for opinions and 6 weeks flat for unpubs. That’s still about a week later than the previous seven-week schedule, but it’s not a huge difference. For June, the court beat its previous pace. Remember, previously June-session arguments resulted in September-session opinions, a delay of 14 weeks. But in 2016, opinions arrived an average of 12.3 weeks after the previous session’s opinion day, with unpubs taking 11.3. Lawyers who argued in June got results sooner, on average, than they had in past years. The court slipped a bit on appeals argued in the September session, releasing opinions after an average delay of 9.8 weeks and unpubs in 7.3. That’s noticeably slower than the previous seven-week pace. But the justices more than made up for it in the November session, which previously had meant a delay of 10-11 weeks. The court released opinions from that session in an average of 9.6 weeks, and unpubs in 6.6. In all, if you were looking for a significant change in the pace, you won’t find it. What you may find instead is that an opinion comes down in eight or nine weeks instead of the 14 that it would previously have taken if the court had held it over for further massaging. That is a decidedly good development. What’s the trend in tort litigation? The caveat here is that I cannot give you statistics from the petition stage, other than petitions filed, petitions refused, petitions granted, and procedural dismissals, as noted above. I cannot know how many plaintiffs vis-à-vis defendants filed unsuccessful petitions for appeal, because no one at Ninth and Franklin keeps that kind of record. Not so on the merits; we have a handy compendium of those decisions, called Virginia Reports. The cases decided in 2016 are all published now – some of them still in advance sheets – and a little metaphorical elbow grease will tell us how the current set of justices is ruling in tort cases. It’s one-sided. 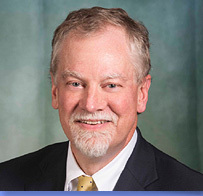 In 2016, the court handed down 15 opinions in appeals involving claims of bodily injury (including medical malpractice and wrongful death) and wrongful termination. In those 15 decisions, the injured party (including the terminated employee in this category) won twice, while the tort defendant (including the employer) won 13. This continues a trend that has been accelerating in the last few years. The last time the justices handed down a published opinion that affirmed a bodily-injury judgment in favor of the plaintiff, where the defendant sought a reversal, was almost 2½ years ago, in October 2014. I hasten to add that this could be due to a skewed sample. After all, any statistician worth his pocket calculator will tell you that a sample size of 15 cases isn’t sufficient to draw firm conclusions. But I now have detailed statistics on these decisions going back to 1999, and we’ve never seen an imbalance like this before. The defense is winning these appeals by historic margins. While we could theorize about unusual suspects – that skewed sample size, perhaps; or the possibility that trial courts, en masse, have all started making pro-plaintiff mistakes – I prefer the Occam’s razor approach: the Supreme Court has become far more conservative in the past few years, and that’s showing up in its current body of caselaw. How’s the success rate for rehearings? Grim, as always. In 2016, the court granted eight petitions for rehearing filed after a writ-stage refusal, and rejected the other 294, for a success rate of 2.6%. Keep in mind that the appellant may have won only a temporary reprieve; the court may ultimately affirm some of those eight. After a decision on the merits, 23 losing litigants summoned the courage to seek rehearing last year, but the court refused each petition. RGR v. Settle is the only PFR that the court has granted after a merits decision since the beginning of 2013. The other 102 petitions filed in that time have all been in vain, a success rate of 0.97%. Of course, the success rate for those losing appellate litigants who do not choose to file a PFR is 0.00%, so you can see why they’d try.